This post is sponsored by Sioux Falls Convention & Visitors Bureau but the content and opinions expressed here are my own. Sioux Falls, South Dakota might not be a place you immediately think of when you think “bucket list travel destination”, not yet anyway. But Sioux Falls is starting to show signs that it’s going to become the next big thing for tourists. The next frontier in travel if you will. If you haven’t been to Sioux Falls lately, a lot has changed. They are really making headway as an up an coming tourist destination, experiencing record breaking numbers of travelers in 2016! 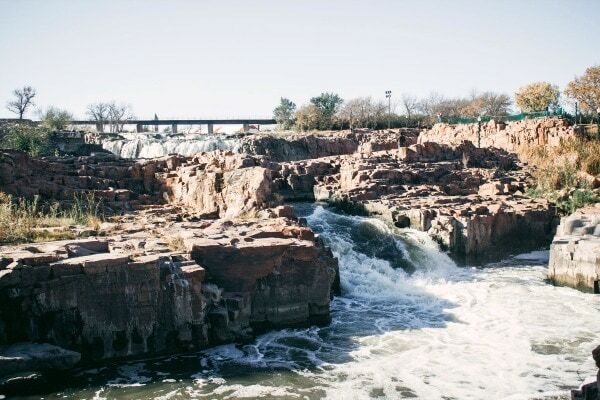 Whether you’re a foodie, active outdoorsy type, urban explorer, adventure seeker or just someone who loves to explore historical and culturally rich places, Sioux Falls has something for everyone! Keep reading to find out how you can enter to win a trip for 4 to Sioux Falls for your whole family to experience the magic and beauty of this city. Here’s just a few of the reasons Sioux Falls belongs on your travel bucket list! Sioux Falls has over 700 restaurants! Everything from big game to farm to table and everything in between. Experience the best culinary delights the Midwest has to offer. Whether it’s an Instagram-worthy brunch at the All Day Cafe, or a mouthwatering dinner at Morrie’s Steakhouse. There’s so many places to eat you could have 3 meals a day for more than 7 months and never eat at the same place twice! The Sioux Falls food scene is incredible, and definitely rivals other more well-known travel destinations. If you love shopping, Sioux Falls has got you covered. There’s old stuff (antiques), new stuff (trendy shops) and something for everyone. Head to the newly renovated Empire Mall with over 140 retailers, head downtown to Lot 2029 for a unique women’s boutique or Benson’s Flea Market for an afternoon of treasure hunting. No matter what you’re looking for, you’ll find it at one of their amazing shops. The Cathedral of Saint Joseph stands high above the city offering guided and self-guided tours. Check out the Multi-Cultural Center and, if you’re lucky enough to be in town, the Festival of Cultures is free and open to the public to experience all the wonderful things the diverse cultures of the area have to offer. The Old Courthouse Museum is home to the Minnehaha Historical Society and the Sioux Valley Genealogical Society Library. The U.S.S. South Dakota Battleship Memorial, Good Earth State Park at Blood Run (a newly appointed state park and National Historic Landmark which boats a veritable time capsule of the Oneota Indigenous Peoples, including Omaha, Ioway, Oto and Yankton Sioux Tribes. Don’t forget The African American History Museum at the Washington Pavilion for a peek into the contributions and leadership of the African American community in South Dakota. 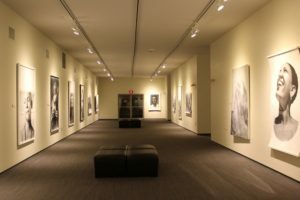 Check out the South Dakota Symphony Orchestra, Old Towne Dinner Theater, The Wells Fargo CineDome Theater, The Eide/Dalrymple Gallery, Eastbank Art Gallery or the Sioux Falls Arts Council. Catch a show from the Main Stage Ballet & Dance Company or the Sioux Falls Jazz & Blues Society. The Visual Arts Center at Washington Pavilion features six galleries with changing exhibits and the Raven Children’s Studio which provides hands on activities. The Shoto-Teien Japanese Gardens are the perfect backdrop for your travel photos, and of course Falls Park is probably the most iconic of Sioux Falls landmarks. You definitely don’t want to miss that one. With over 123 acres to explore, as well as some of the first buildings in Sioux Falls, this is one stop that cannot be missed! Be sure to stop by the Falls Park Visitor Information Center and climb the five story viewing tower for some amazing scenery. If you visit from November through January, be sure to look for the Winter Wonderland lights at Falls Park when it’s transformed into an enchanting, magical experience! Naturally though, it’s not the ONLY park in Sioux Falls. There’s Riverdale Park, Pasley Park, Sertoma Park and Yankton Trail Park, just to name a few. Got little ones who might not appreciate the rich culture as much as they appreciate a good waterslide? Fear not, Sioux Falls has something for them too! Thunder Road’s Family Fun Park features go-karts, mini-golf, bumper boats, batting cages, laser tag and more. The Great Plains Zoo is home to over 1,000 animals. The Outdoor Campus features a 3,000 gallon aquarium and geo-caching delights, and The Butterfly House & Aquarium is a tropical oasis with over 800 butterflies for an unforgettable hands-on experience! Wild Water West Waterpark features a wave pool and mini golf and so much more. Oh then there’s Great Bear Recreation Park for skiing, snowboarding, snow tubing and snowshoeing and Sky Zone Trampoline Park (if you still have any energy left). I could list these for daaays. There’s so many amazing breweries and wineries in Sioux Falls I can’t possibly name them all. Popular spots include Prairie Berry, Hydra Beer Company, Fernson Brewing, Strawbale Winery, WoodGrain Brewing, Wilde Prairie and Monks House of Ale Repute (that name cracks me up). 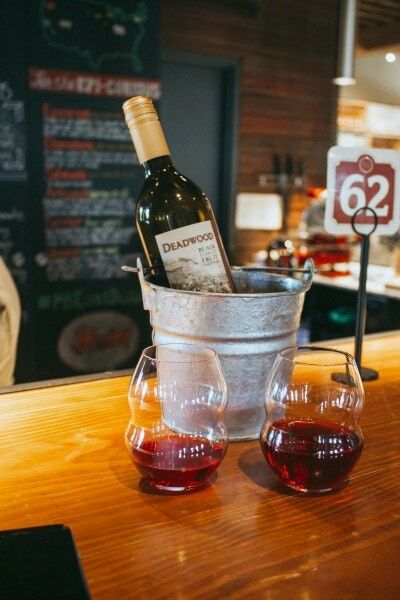 Whether you’re looking for a microbrewery, taproom, wine tasting or flights, these places have you covered with delicious nibbles and sips for your tasting pleasure. With over 4900 local hotels and motels, Sioux Falls has a place to stay for any budget. Stay in style at the Hilton Garden Inn Downtown, or the budget and pet-friendly Nites Inn. If a Bed and Breakfast is more your cup of tea, Humphrey’s, The Jasper Stone and The Victorian Bed and Breakfast will have you feeling like you’re in a cozy, elegant home away from home, perfect for a romantic getaway like a honeymoon or a special anniversary celebration. Whether you want the full experience of camping in one of the Sioux Falls-area state parks, or are going for the less adventurous and slightly more domesticated campground experience of Yogi Bear Camp-Resort or KOA Kampground of Sioux Falls, there’s a little something for everyone. I remember staying at Yogi Bear’s Jellystone Park Resort as a kid with my family! We have a picture of me in the pool with my youngest brother, and the family playing mini-golf together. Great memories that we’ll always treasure. For the singles, empty nesters, or after the kiddos go to bed, there’s plenty of nightlife fun in Sioux Falls. Whether you’re craving chic bottle service at the upscale Icon Lounge, or the chill vibe of Stogeez Cigar Lounge, you’ll find what you’re looking for here. If you’re not sure what you’re looking for, then PAve is the place to go. The two-story bar has two different atmospheres-one with a contemporary, industrial vibe, the other has live music and a modern interpretation of the classic “dive bar”. For a speakeasy type of vibe, check out Paramount Studio Cocktails. SO so so many more things to do in Sioux Falls, I can’t possibly list everything because we’d be here for days. Plus, you’re already going to have to extend your trip to fit in all these awesome attractions. The best part is SO many of these attractions are completely free and low cost, so you can plan yourself a budget friendly Sioux Falls getaway if you’re not the lucky winner of this trip! Be sure to head here to enter the giveaway to win a trip for four to Sioux Falls so you can experience all the amazing fun this city has to offer. 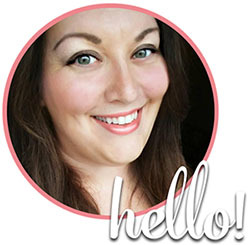 I would be absolutely tickled if one of my readers wins this trip, so get your entries in now! This trip giveaway is sponsored by the Sioux Falls Convention & Visitor’s Bureau, and winners and prizes will be handled by the sponsor. For more details about the giveaway, please check the terms and conditions here. Which are you most excited to add to your Sioux Falls travel itinerary?